Union Finance Minister Arun Jaitley on Thursday said that there cannot be only one ideology in a democratic country like India while rejecting the Opposition's charge over the Jawaharlal Nehru University row in the Rajya Sabha. "Can there ever be an argument in a democracy like ours that there can be only one ideology, obviously not. Does the right to free speech give me the right to break the country to pieces? Let us forget the idea of India. 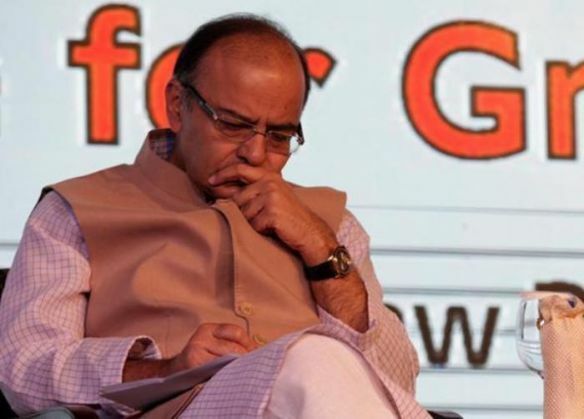 It is the territory of India that is being attacked today," Jaitley said in Rajya Sabha. Rejecting the allegations made by the Opposition that the government was cracking down on students because it didn't agree with their views, Jaitley said, "some amount of radical romancing also takes place in universities, will we give respectability to people whose ideology is to break nation?" "Vandalism is condemnable (on Patiala House Court issue) but sedition is free speech?" asks Jaitley. The finance minister said associating Dr. Ambedkar with separatists like Afzal is sacrilege. "We all know what Afzal Guru represented. You cannot put posters of Dr Ambedkar on the occasion of celebrating Yakub Memon. It is extremely unfortunate that some people takes steps before contemplating the same. And your party did the same on this (JNU) issue," he added. "JNU is not a sovereign territory that police cannot enter. If Indian penal code is being violated, police is in its right to enter," he said.